The present generation does not recall the Islamic State that implemented Islam, and those who lived during the last years of the Islamic State (‘Uthmani Khilafah) against which the West had directed its onslaught, had in fact witnessed the remains of a state implementing remnants of Islamic rule. That is why it has become extremely difficult for any Muslim to illustrate the picture of the Islamic rule to minds subdued by the situation, minds which cannot imagine the system of government except through the rotten democratic regimes imposed on Muslim countries. So how could such seduced minds realise that the poisonous dagger which killed their mother is the same one that is always threatening their lives and very existence, so long as they hold onto it. That those concepts which they carry, such as nationalism, separating the deen from the State and the anti-Islamic notions are the very poison that this Western culture has brought to them. The chapter about the missionary invasion in this book is full of facts and figures showing clearly and in detail the true intentions of the killer and the true motives behind the crime, listing the means and methods used to carry it out. The only reason was to eradicate Islam, and the most effective weapon was this Western culture which the missionary invasion had brought. The Muslims were caught unaware of the dangers of such culture, they began resisting and fighting the physical occupation of their lands whilst embracing the Western culture, which was the real reason behind the occupation taking root in their lands. The sad irony is that Muslims, while allegedly turning their backs on the foreigner and fighting the occupation, welcomed the West with open arms and drank from its poison until they collapsed, weary and lifeless; one would think them casualties of war, alas they were in fact victims of ignorance and misguidance. What do they actually seek? A state based on other than Islam? Or several states on Muslim land? The West, since becoming the effective ruler, has already given them several states; completing therefore its scheme of keeping Islam out of government, dividing the Muslim land and giving the Muslims a trivial and facade rule. From time to time, the West creates for Muslims a new state, and it is more than willing to give them even more as long as they hold on to Western principles and concepts. 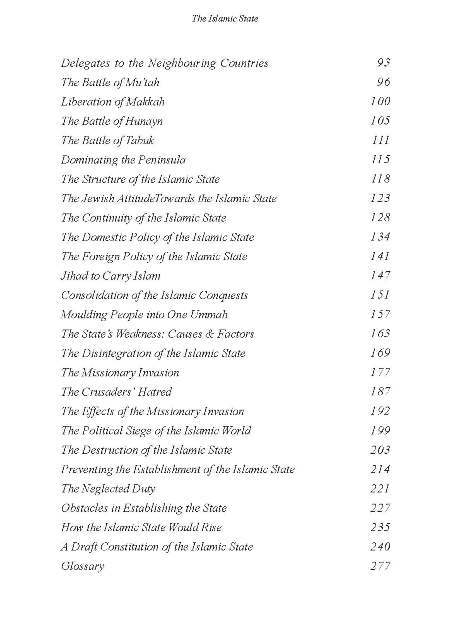 The Islamic State is not a dream, nor is it a figment of the imagination, for it had dominated and influenced history for more than thirteen hundred years. So, it is a reality, it has always been and always will be. The vital elements of its existence are far greater than can be ignored or fought against by anything or anyone; the enlightened people have adopted it and it is the wish of the Ummah which is eager for the glory of Islam. The Islamic State is not a desire that one aims to satisfy, but an obligation that Allah (swt) has decreed on Muslims and commanded them to execute. He (swt) warned of the punishment awaiting those who neglect this duty. The Islamic State is by no means an easy acquisition, nor a question of simply becoming ministers (this applies to both parties and individuals) and becoming part of the present ruling system. The road is embedded with thorns, full of perils, obstacles and hardships, not to mention the non-Islamic culture, shallow thinking and pro-Western regimes which form a formidable obstacle. Those who tread the path of the Islamic call to restore the Islamic State, would in fact be aiming at seizing power in order to resume the Islamic way of life in the Muslim lands, and to convey the Message of Islam to the whole world. That is why they would categorically reject sharing power with anyone, no matter how great the temptation. They would also reject absolute rule unless they were capable of implementing Islam comprehensively, radically and instantaneously. 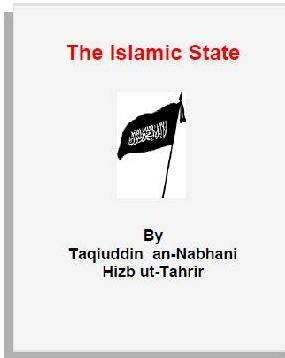 Finally, this book about the Islamic State is not meant to narrate it’s history but to explain how the Messenger of Allah (saw) established the Islamic State, and to show how the colonial disbelievers destroyed it. 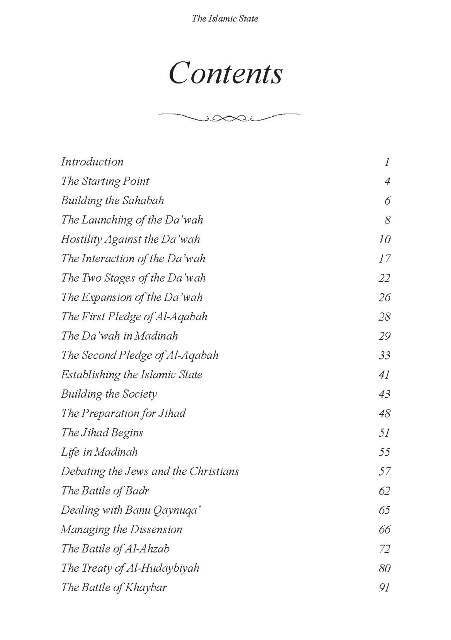 It demonstrates how Muslims should re-establish their State so that the light that guided the world in the darkest of ages returns to enlighten humanity once again.